For millennia, states and empires have negotiated formal agreements to protect themselves. Usually known as treaties, these agreements are always in written form, and are always fashioned and evaluated according to pertinent international law. Problems arise, however, whenever particular signatories decide that continued compliance is no longer in their own “national interest.” It follows that treaties can be useful when there exists an enduring mutuality of interest, but can become more or less useless whenever such mutuality is presumed to disappear. For the moment, Israel’s 1979 Peace Treaty with Egypt still seemingly remains in place. It goes without saying, however, than any ongoing regime change in Cairo that would extend some governing authority to the Muslim Brotherhood, or to its proxies, could result in a prompt Egyptian abrogation. Although any such willful termination of treaty obligations by the Egyptian side would almost certainly be in violation of The Vienna Convention on the Law of Treaties, there is little that Israel or the “international community” would be able to do about it. This agreement seemingly represented a “smart” concession, but only if there can ever be any reasonable expectations of Palestinian compliance. In fact, such expectations are thoroughly implausible. This is the case not only because treaties and treaty-like agreements can easily be broken, but because, in this particular case, any post-independence Palestinian insistence upon militarization would likely be entirely lawful. Neither Hamas nor Fatah will ever negotiate for anything less than full sovereignty. Why should they? International lawyers seeking to discover “Palestine-friendly” sources of legal confirmation could conveniently cherry-pick pertinent provisions of the 1934 Convention on the Rights and Duties of States, the treaty on statehood, sometimes called the Montevideo Convention. They could apply the same strategy to the 1969 Vienna Convention on the Law of Treaties. International law is not a suicide pact. Indisputably, Israel has a “peremptory” right to remain “alive.” It was, therefore, entirely proper for Mr. Netanyahu to have previously opposed a Palestinian state in any form. International law would not necessarily expect Palestinian compliance with any pre-state agreements concerning armed force. This statement is true even if these agreements were to include certain explicit U.S. guarantees to Israel. Also, because authentic treaties can only be binding upon states, a non-treaty agreement between the Palestinians and Israel could quickly prove to be of little or no real authority or effectiveness. And this is to say nothing of the prominent and potentially synergistic connections between Hamas, the Islamic Resistance Movement, and the Egyptian Muslim Brotherhood. What if the government of a new Palestinian state were somehow willing to consider itself bound by the pre-state, non-treaty agreement? Even in these very improbable circumstances, the new Palestinian Arab government could have ample pretext and opportunity to identify relevant grounds for lawful treaty termination. Palestine could withdraw from the “treaty” because of what it regarded as a “material breach,” a purported violation by Israel that had allegedly undermined the object or purpose of the agreement. Or it could point toward what international law calls Rebus sic stantibus, or, in English, the doctrine known as a “fundamental change of circumstances.” Here, if Palestine should declare itself vulnerable to previously unforeseen dangers, perhaps even from the interventionary or prospectively occupying forces of certain other Arab armies, it could lawfully end its codified commitment to remain demilitarized. There is another factor that explains why Prime Minister Netanyahu’s hope for Palestinian demilitarization remains ill-founded. After declaring independence, a new Palestinian state government could point to certain pre-independence errors of fact, or to duress, as appropriate grounds for agreement termination. In other words, the usual grounds that may be invoked under domestic law to invalidate contracts can also apply under international law, both to actual treaties, and to treaty-like agreements. Any treaty is void if, at the time of entry, it is in conflict with a “peremptory” rule of international law, a rule accepted by the community of states as one from which “no derogation is permitted.” Because the right of sovereign states to maintain military forces for self-defense is always such a rule, “Palestine” could be fully within its lawful right to abrogate any agreement that had previously (pre-independence) compelled its demilitarization. It follows from all this that Mr. Netanyahu and the people of Israel should take no comfort from any legal promises of Palestinian demilitarization. Should the government of any future Palestinian state choose to invite foreign armies or terrorists on to its territory, possibly after the original government had been overthrown by more militantly Jihadist/Islamic forces, it could do so not only without practical difficulties, but also without violating international law. Today, facing protracted uncertainty in Cairo, Israel could soon have to deal with a new Egyptian regime’s abrogation of the 1979 peace treaty. With this particular regional portent in mind, Israel must ensure that yet another determined enemy state will not be carved out of its own, steadily diminishing, territory. For Israel, whether the issue is Egypt or “Palestine” or both together, it is important to bear in mind the always-limited protective benefits offered by treaties and treaty-like agreements. Louis René Beres is Professor of International Law at Purdue University. The author of ten major books and several hundred scholarly articles on world affairs, his columns appear in many major American and European newspapers and magazines. 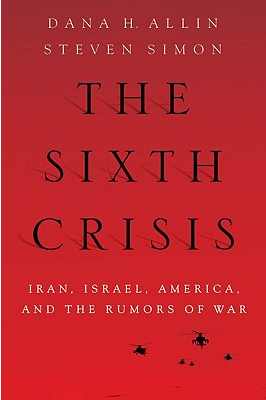 For further reading on Israel, we suggest The Sixth Crisis: Iran, Israel, America and the Rumors of War by Dana H. Allin and Steven Simon.